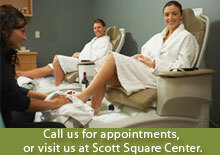 Kim's Nails provides top nail care services in Wichita Falls, TX. We provide expert services using sterile tools and top nail products. Contact Kim's Nails today at 940-691-7733 for all of your nail care needs.